Photography first became prominent toward the end of the 19th century as the technology became more refined. Over the years, we’ve seen a number of different mediums emerge from the photographic world, with the latest being high definition digital. And over that period of time, hundreds of millions of photographs have been taken across the world. From family vacation pics, war photos, journalism records, and more, there have been countless pictures that have captured the hearts and minds of all those that have seen them. But what is the most important picture that we’ve even taken as a collective, especially in our world of Instagram, Pinterest, and online betting? Many believe that it’s the Hubble Deep Field picture. 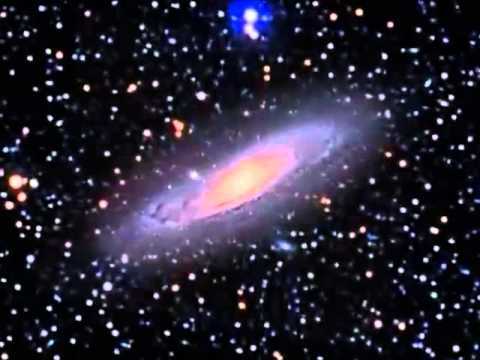 What is The Hubble Deep Field Picture? In 1995, astronomers in the United States pointed the Hubble Telescope, then the world’s most powerful, at a seemingly empty spot in the night’s sky. The telescope was purposefully pointed at a space that was not directly affected by the light of the Milky Way, thus ensuring that the picture taken could only draw on light that was produced by galaxies. It was considered an extremely risky move, with scientists explaining that using the Hubble Telescope not only cost a huge amount of money to use, but that there is always a constant stream of astronomers waiting to use it. The gamble was taking a picture of an otherwise unremarkable piece of the night’s sky that may have contained nothing at all. The telescope captures the small spot of the sky for 10 straight days, collecting faint light that was projected by countless galaxies and stars. What they got in return was what is still considered the deepest look into the universe, even if on a small scale. It gave scientists a look at what galaxies looked like when they were younger, and the image itself contained billions upon billions of stars. Since then, more advanced pictures have been taken, such as the Hubble Ultra Deep Field, and the much more recent eXtreme Deep Field. 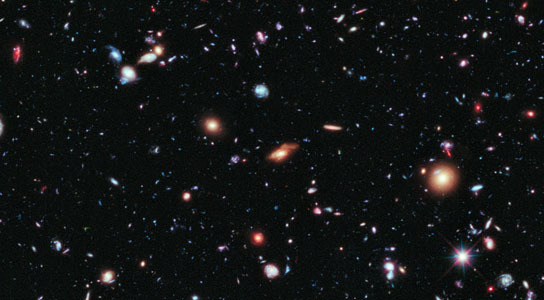 The XDF images, which were assembled in 2012, show some of the most distant galaxies that were around when the universe was just 800 million years old. While this may seem like an unfathomably long time, in the scale of the universe’s timeline, it’s relatively short, and represents a very new, very young universe that had yet to expand into what it is today. It’s also given credit to the Big Bang theory, which astronomers believed occurred roughly 13.8 billion years ago. It was the moment that everything we know was created in an incomprehensibly massive expansion of energy, where the first chemicals and strands of matter were put together, and the catalyst of all creation today. The universe has continued to expand since the big bang at the speed of light, meaning that over time we will capture parts of the universe in different stages of its expansion. And with recent upgrades to the Hubble, our understanding of the cosmos will grow even greater.